Maggie Valley is a small community which has welcomed summer visitors for many years. There are numerous restaurants, shops and activities for residents and visitors to enjoy. 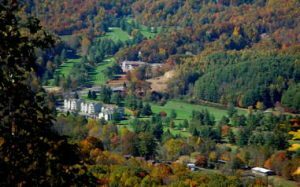 The Maggie Valley Country Club as well as the Cataloochie Ski Resort are just two of the amenities of the area. Dotted with a large number of vacation homes, there is an excellent selection of homes which will appeal to you as a vacation home buyer.